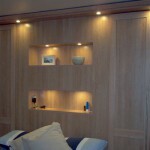 The room prior to installation featured a large chimney breast, behind the bed, and two recesses to the left and right. 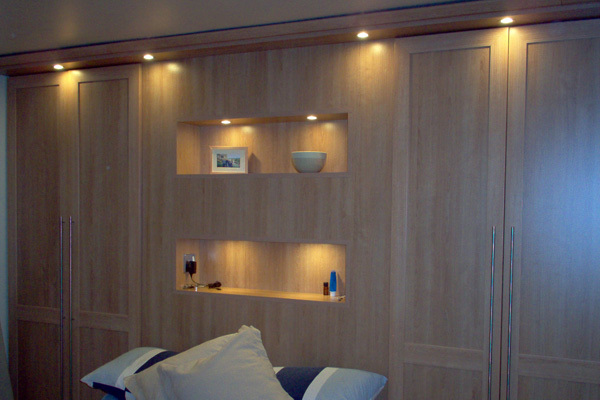 By blanking off the chimney and creating two feature displays with ambient lighting, separate switches and plug sockets for mobile phones, we created a feature expanse of wardrobes. The wardobes are matt finish and have colour matched interiors. Timeless, functional and stylish too.